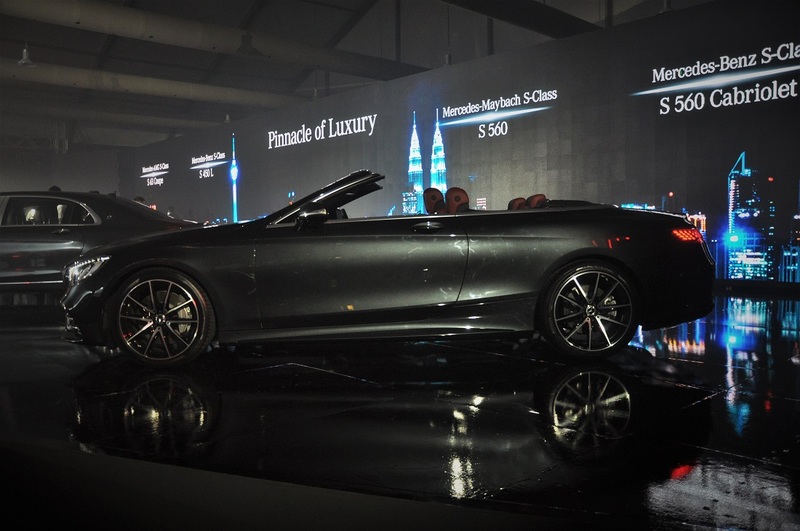 In addition to the introduction of the S-Class saloons (S450L and Maybach S560 & S650), Mercedes-Benz Malaysia has also made available in the local market the Mercedes-Benz S560 Cabriolet and Mercedes-AMG S63 Coupe as part of its ‘Dream Cars’ offering. 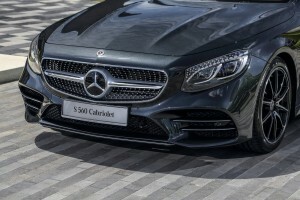 Also receiving facelift improvements like the saloons, these two-door dream cars get the same widescreen cockpit, new steering wheels, and extended driving assistance systems. 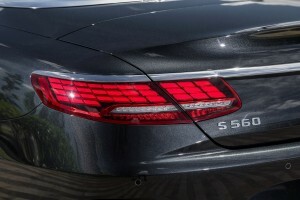 But exclusive to the two-door cars are the innovative OLED tail lamps. 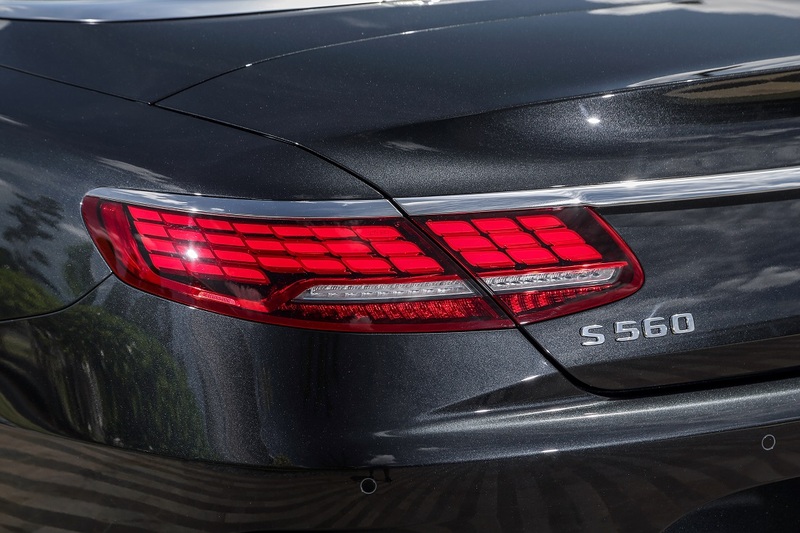 A new feature, the OLED (organic light emitting diode) tail lamps are made up of wafer-thin layers of organic materials printed on a glass plate and made to illuminate. One tail lamp has 33 OLEDs that emit a homogeneous light pattern in all directions, day and night. 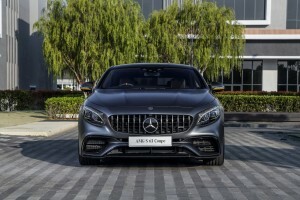 It also employs Mercedes-Benz multi-level technology with different levels of light intensity for brake lamps and turn signal indicators depending on driving condition and ambient brightness. 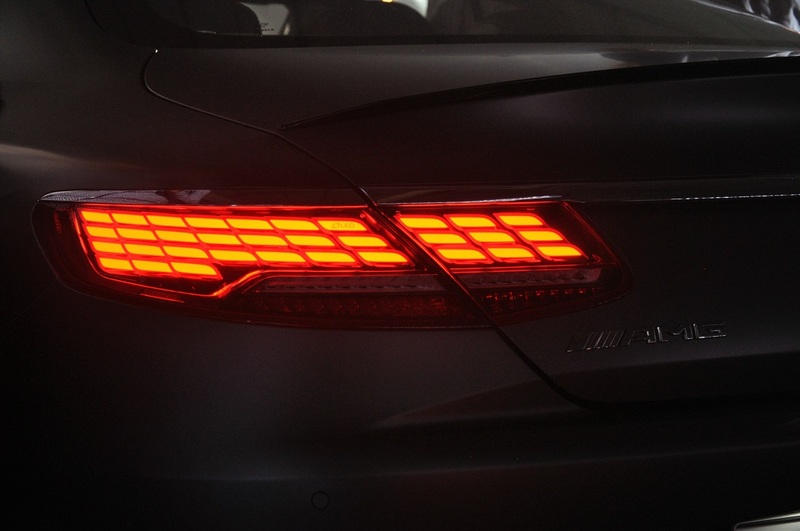 Further, locking and unlocking the car activates an animated dynamic light sequence with subsequent dimming of the tail lamps. 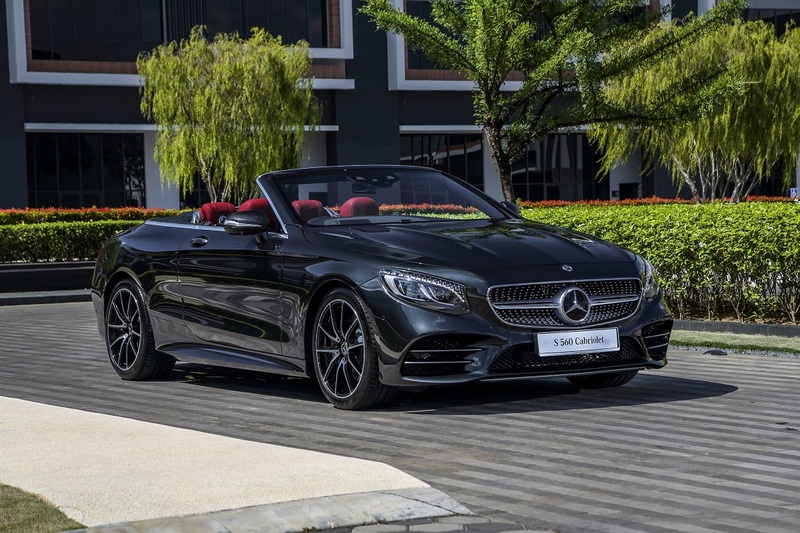 The S560 Cabriolet is powered by a 4.0L V8 bi-turbo engine with power output of 469 hp and 700 Nm, like the Mercedes-Maybach S560 saloon. The official 0 – 100 km/h sprint time for the Cabriolet is 4.6 seconds, with top speed capped at 250 km/h. 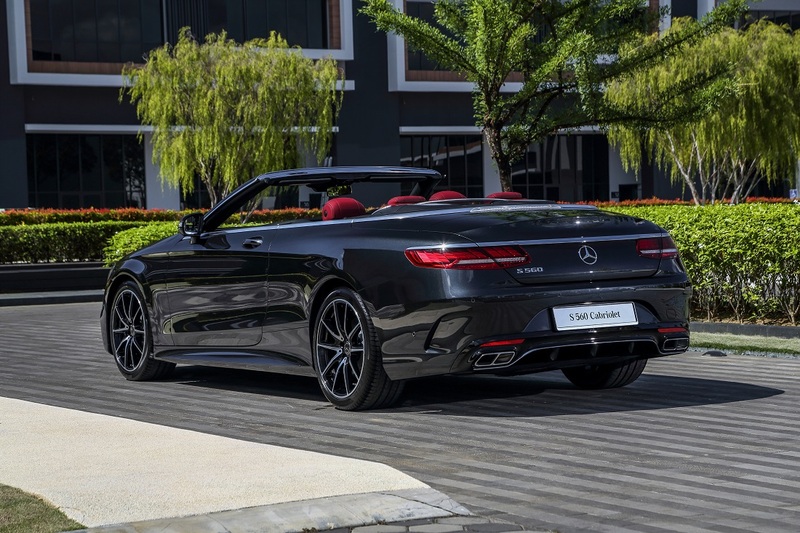 The exterior of the S560 Cabriolet gets new front and rear bumpers. 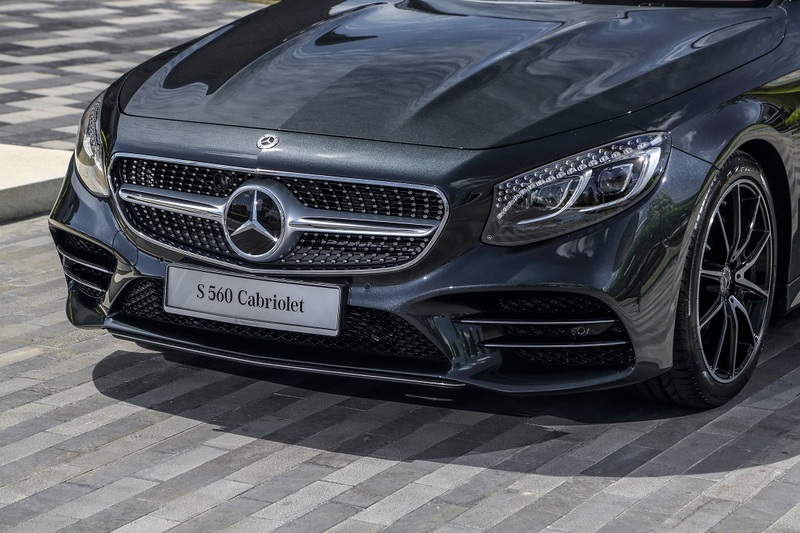 The front apron has a chrome-plated splitter and large air inlets. The side skirts are also changed, and the twin tailpipe trim are chrome-plated and sport the V12 look. 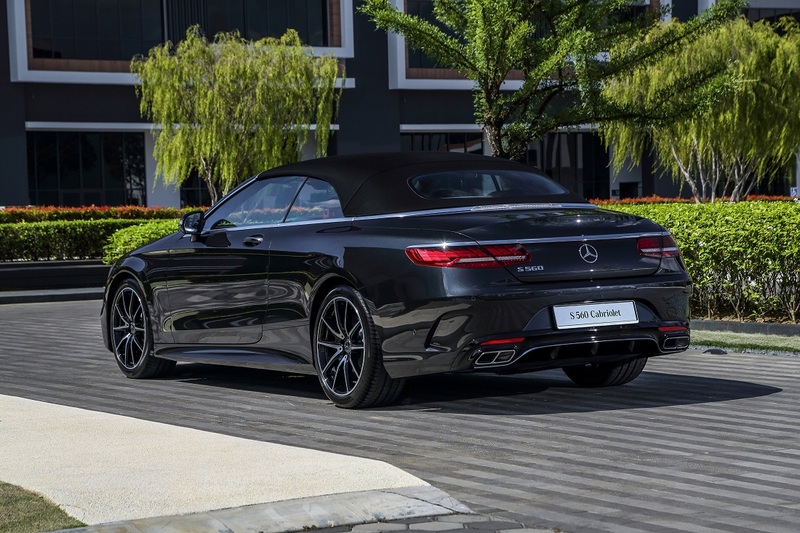 Fitted with Airmatic air suspension, the S560 Cabriolet sits on 20″ wheels. Inside, the widescreen cockpit is emphasised by the twin high-resolution 12.3″ screens under one sheet of glass to make it look nearly seamless. Drivers can choose between three visual styles for the digital cockpit i.e. Classic, Sporty and Progressive. 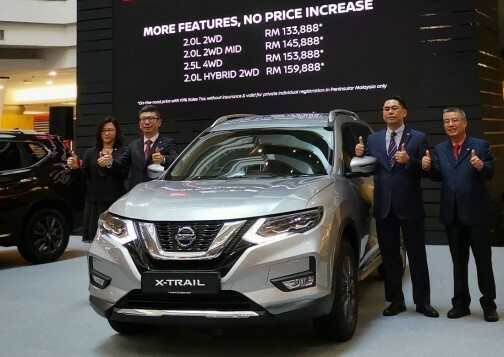 Driver conveniences include the Touch Control buttons on the steering wheel which respond to swiping motions like a smartphone screen, enabling the driver to access functions in the instrument cluster and infotainment system without taking his/her hands off the wheel. 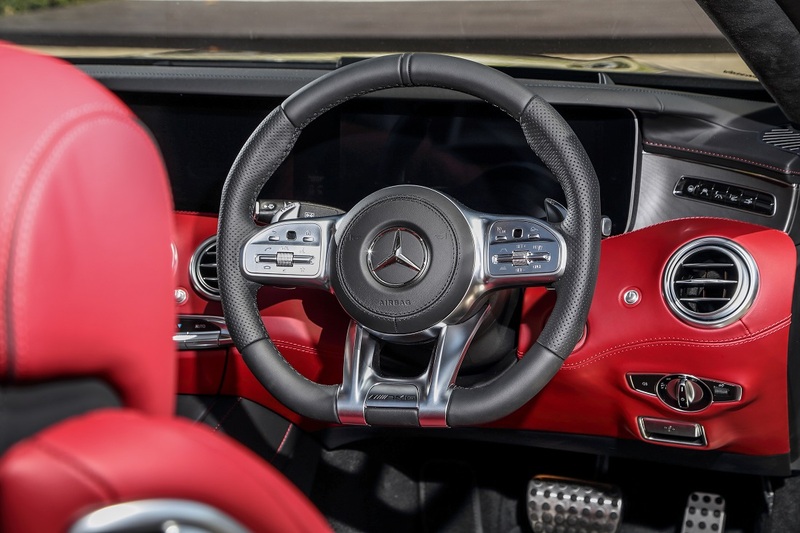 The steering-mounted controls for Distronic and cruise control are also a new feature. 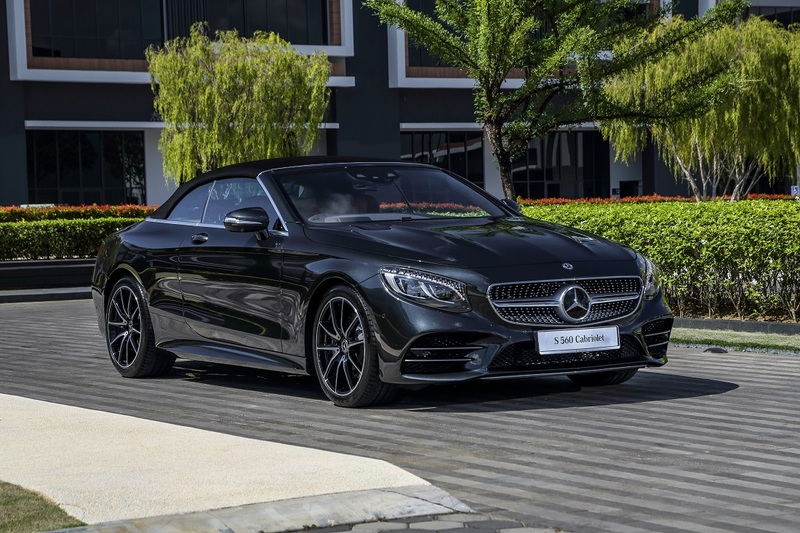 Active Distance Control Distronic and Active Steering Assist is part of the Intelligent Drive driving assistance systems, and helps keep the car at a safe distance and steer using the map and navigation data as reference. The vehicle speed is adjusted automatically ahead of bends, junctions and roundabouts (may vary according to country). 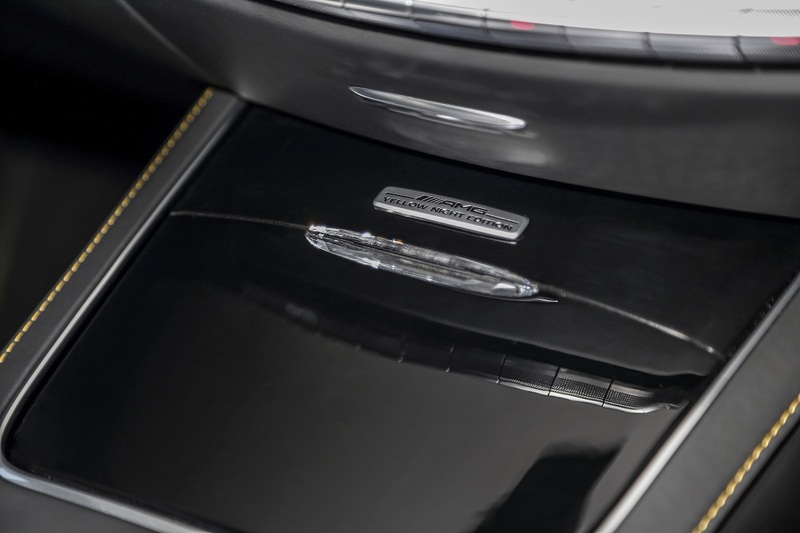 Further, the Linguatronic voice control now also includes the control of vehicle functions such as the climate control, seat heating/ventilation, interior lighting, fragrancing/ionisation, seat massage and head-up display. The latest version of Comand Online features fast 3D hard-disc navigation with topographical map display, photo-realistic 3D buildings and 3D map rotations. It can also display comprehensive information such as real-time traffic, weather, petrol stations and parking spaces. Comand Online also features Near Field Communication (NFC) which transforms your smartphone into a digital vehicle key. 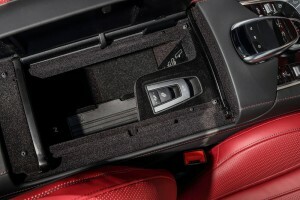 Additionally, the smartphone integration package has Android Auto and Apple CarPlay connectivity. There’s also a Qi wireless charging pad for extra convenience. 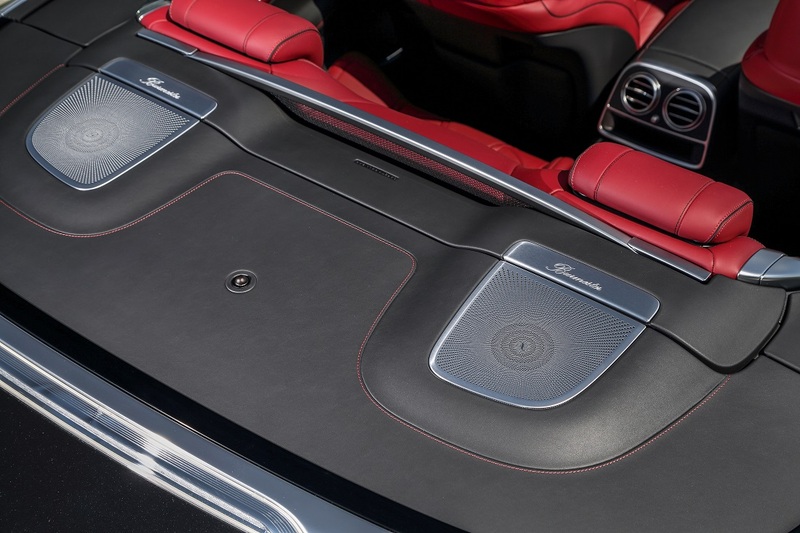 The optional Energizing comfort control integrates the climate control, fragrancing, seat heating, ventilation and massage, lighting and music to correspond to specific mood programmes. Up to six programmes are available i.e. Freshness, Warmth, Vitality, Joy, Comfort and Training (with three training modes within). These programmes run in ten-minute intervals and are backed by suitable music and ambient lighting. 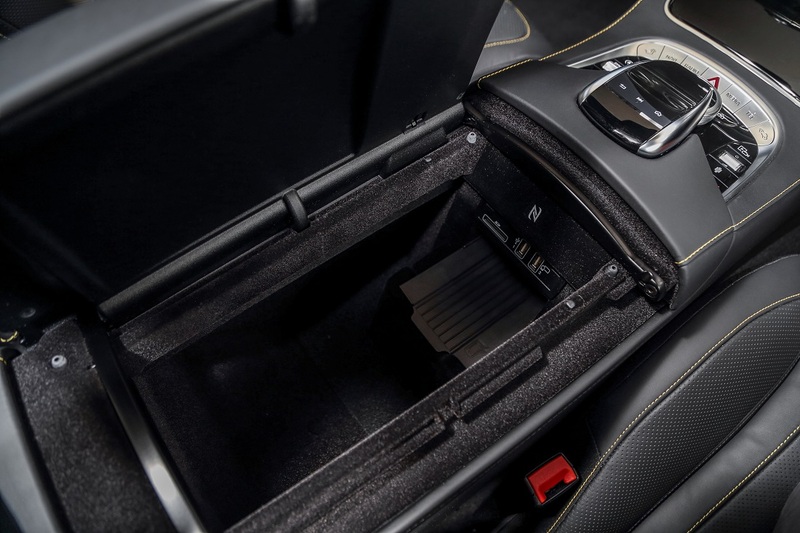 The interior has three new trim lines i.e. high-gloss brown burr walnut wood, satin-finish grey ash wood, and flowing lines designo magnolia wood; as well as three new upholstery lines i.e. 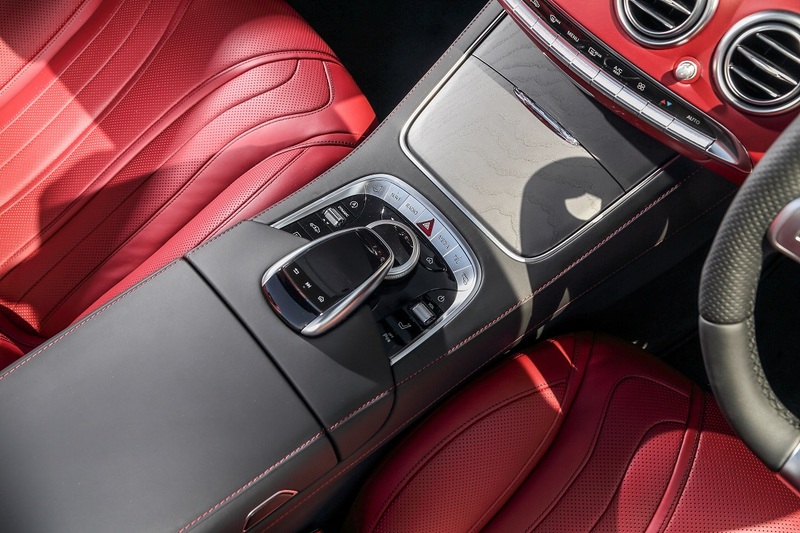 designo Exclusive nappa leather AMG Line Plus procelain/tizian red, designo Exclusive nappa leather procelain/tizian red, and designo Exclusive nappa leather AMG Line Plus Bengal red/black. The Mercedes-Benz S560 Cabriolet retails at RM1,310,662.21 (on the road without insurance or sales tax). 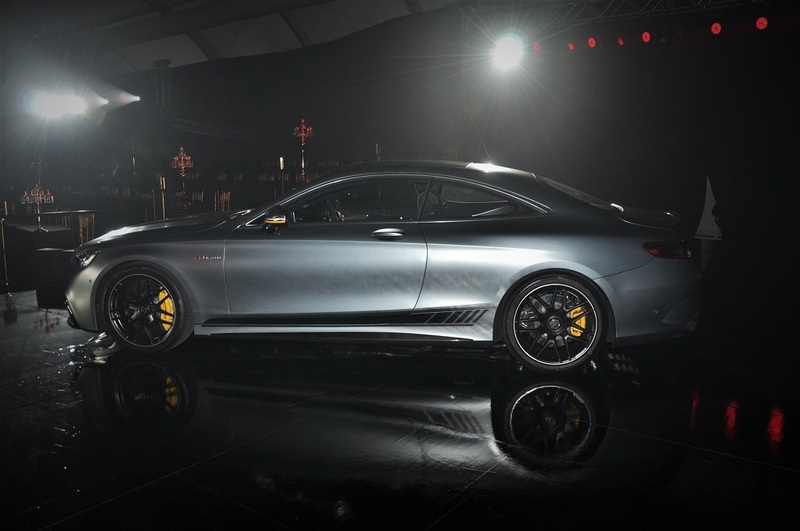 The more beast-y AMG S63 Coupe seen here is the Yellow Night edition in limited availability. It comes with either a selenite grey magno or night black magno paint job with yellow trim strip on the wing mirror housings. This edition also comes with 7-spoke light-alloy wheels in black with high-sheen rim flanges; yellow-painted brake calipers from the AMG high-performance composite ceramic braking system, like the Edition 1; AMG racing stripes; and large high-gloss black front splitter and boot spoiler lip (these are in carbon fibre if you opt for the Carbon Fibre package). Shaping the front of the car is the new AMG Panamericana grille and large air inlets in high-gloss black, while the side skirts with 3D inlays in high-sheen chrome give the coupe a low-slung look. 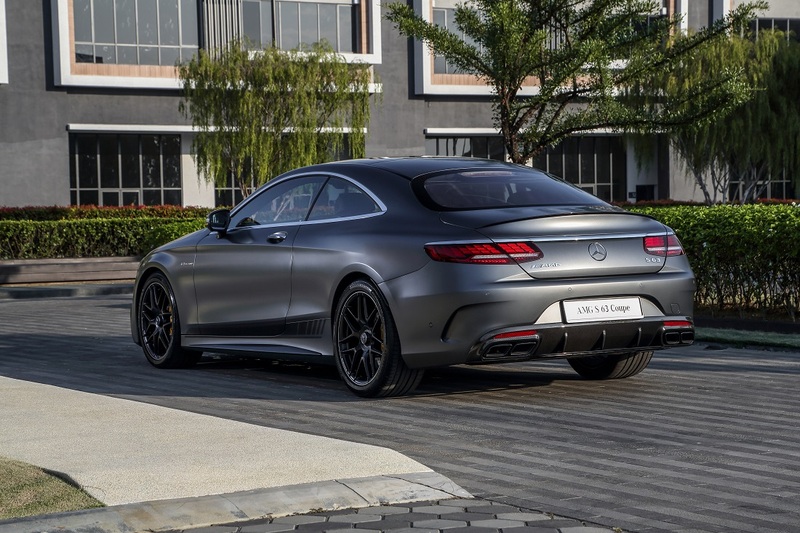 The rear of the S63 Coupe gets an updated rear apron with diffuser insert and redesigned model-specific AMG twin tailpipes. 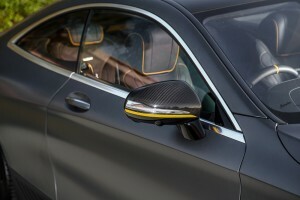 Meanwhile, the interior of the Yellow Night edition coupe has striking yellow accents on the AMG sports seats (powered, and with memory function) and rear seats, on the AMG Performance sports steering wheel as a 12 o’clock marker, on the dashboard, beltline, centre door panels, armrests, centre console as well as floor mats. 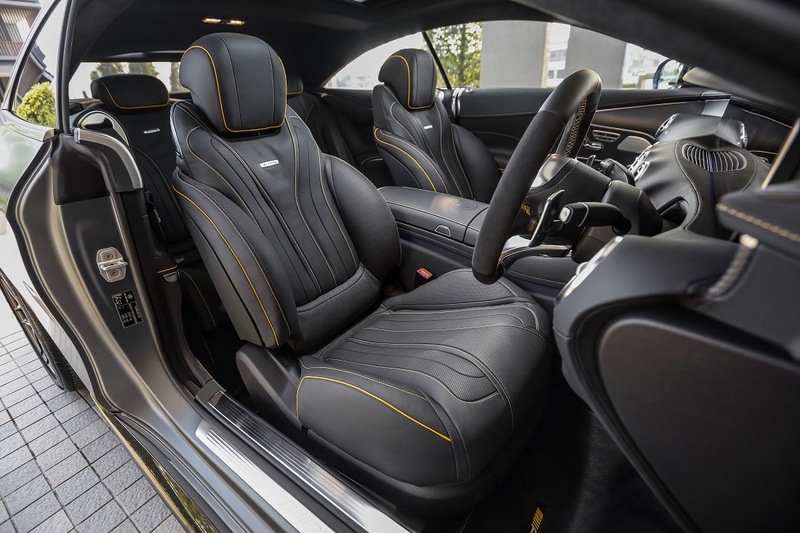 The ‘Exclusive’ package is fitted as standard and includes Exclusive nappa leather upholstery with AMG diamond design and perforations. 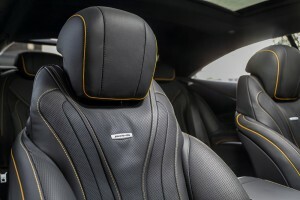 Nappa leather is also used on the upper dashboard, armrests, and door centre panels. There is also an exclusive IWC-designed analogue clock. The Mercedes-AMG S63 Coupe utilises a 4.0L bi-turbo V8 engine tuned for 612 hp and 900 Nm; 0 – 100 km/h is timed at 4.2 seconds. 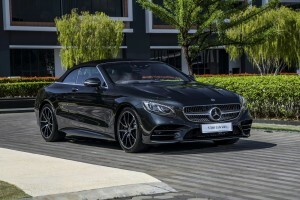 Top speed is limited to 250 km/h; this is increased to 300 km/h with the AMG Driver’s package. 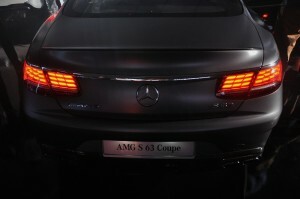 The V8 engine features the AMG Cyclinder Management system which deactivates four cylinders to lower fuel consumption. In the Comfort transmission driving mode, the cylinder deactivation system is available in a wide engine speed range from 1,000 – 3,250 rpm. The AMG menu in the 12.3″ digital instrument cluster informs if cylinder deactivation is in use and whether the engine is operating at partial or full-load range. 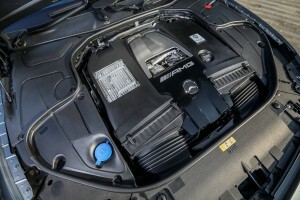 The AMG menu also presents other information like boost pressure, oil temperatures, and power output. 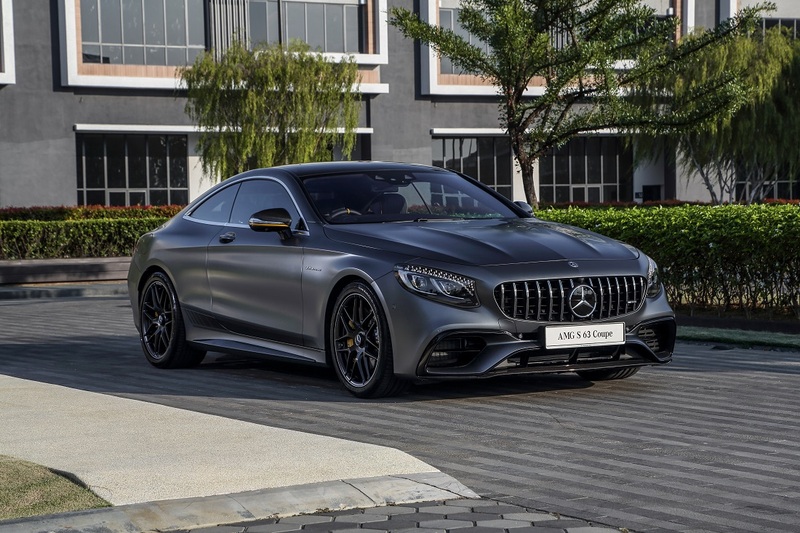 The S63 Coupe gets its power to the wheels via the AMG Speedshift MCT 9G transmission which has short shift times and quick reactions to shift paddle commands, a double-clutching function, and fast multiple downshifts. A wet start-off clutch replaces the torque converter of the production model to save on weight and improves throttle input response time; it also has a Race Start function. 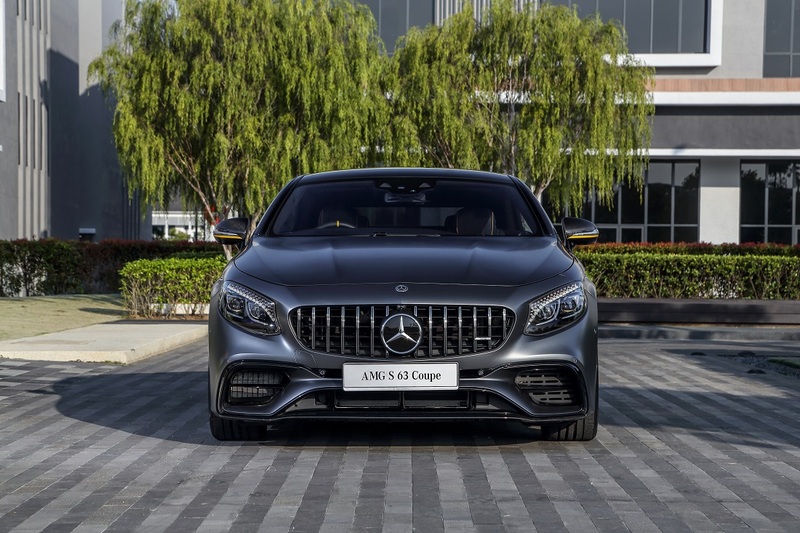 The AMG Dynamic Select modes (Comfort, Sport, Sport+, Individual, Race, Curve) modifies engine response, transmission, AMG Ride Control+ adaptive suspension, speed-sensitive steering, ESP and all-wheel drive. The ESP (Electronic Stability Programme) is a 3-stage system i.e. ESP ON for a high level of safety, ESP Sport Handling which allows wider yaw angles before the system intervenes, and ESP OFF which deactivates the system to maximise sporty driving on closed circuits. The Curve mode is active in a speed range between 15 km/h and 180 km/h and uses the Magic Body Control suspension feature that tilts the vehicle by up to 2.65º to the inside of a turn, similar to a motorcycle rider. This reduces perceived lateral forces and increases the ride quality. 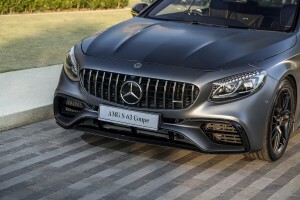 The car uses 390 x 36 mm composite brake discs with 6-piston aluminium fixed calipers at the front, and 360 x 24 mm discs with single-piston floating brake calipers in the rear to stop. An AMG ceramic high-performance compound braking system is also available as an option. 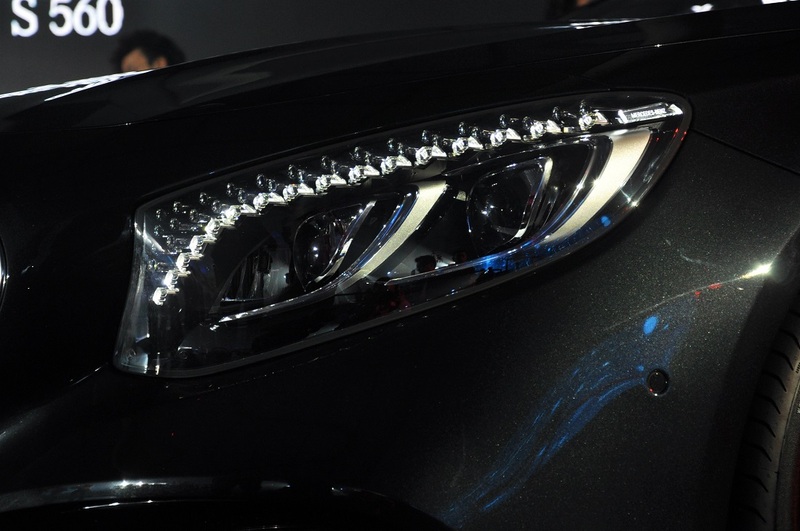 This offers weight savings of more than 20%. The Mercedes-AMG S63 Coupe has a retail price of RM1,461,605.60 (on the road without insurance or sales tax).